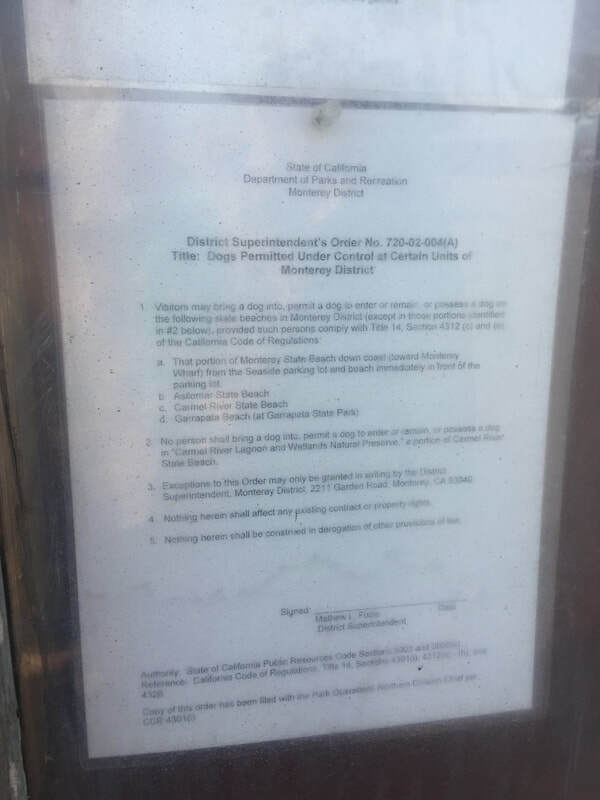 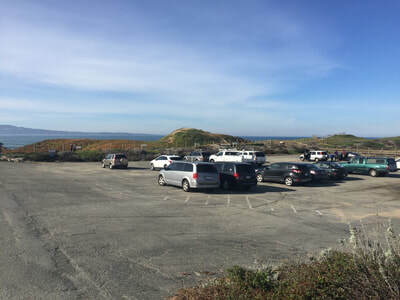 Parking: Free parking lot at the address above. 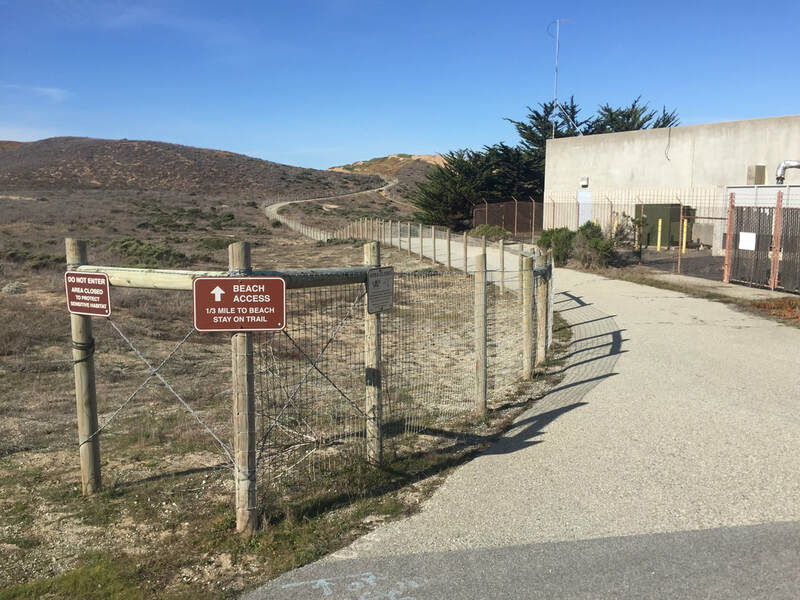 Best time to visit: A cool day, as the paved trail is fully exposed to sunlight and will get hot. 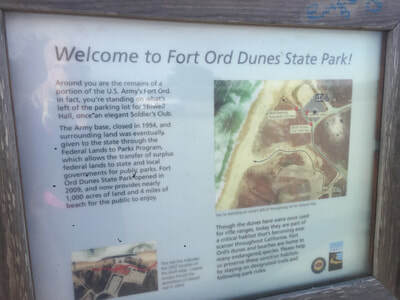 Description: Explore an old army base, closed in 1994, which still has remnants of history. 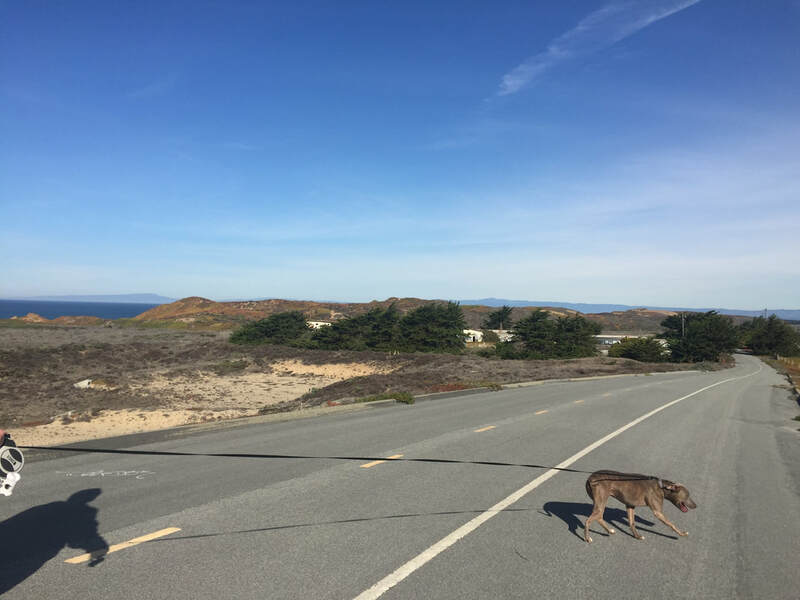 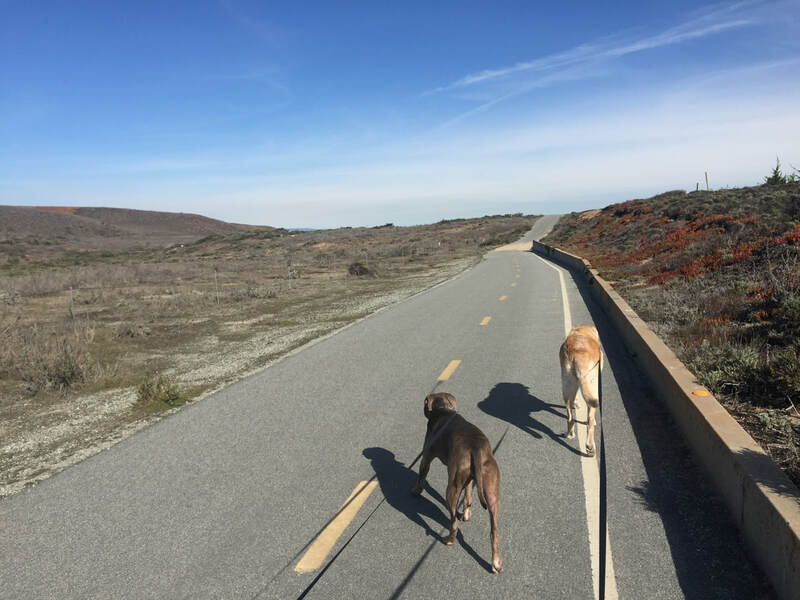 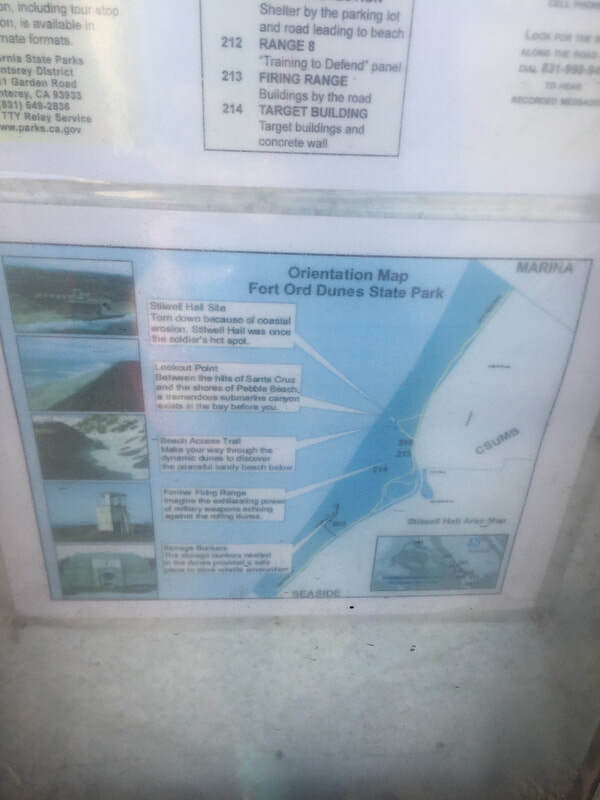 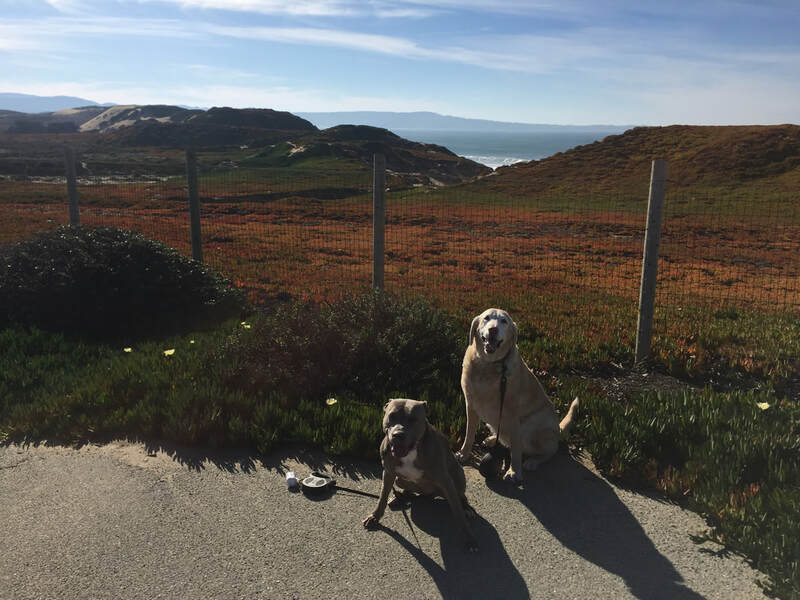 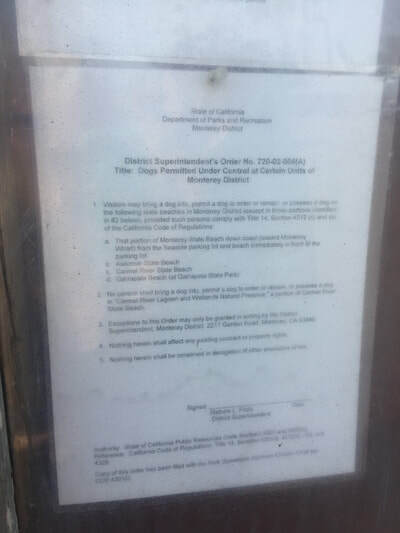 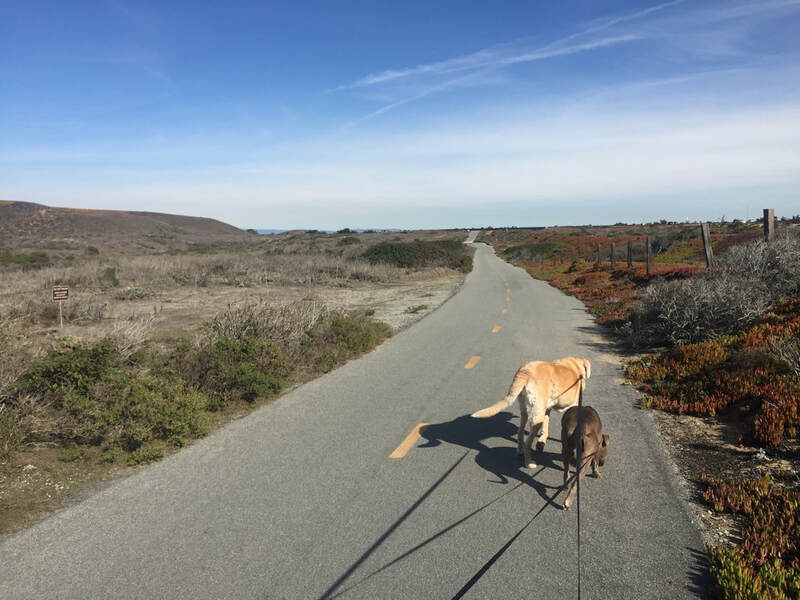 Although dogs are not allowed on the beach, a wide, paved trail runs along the dunes for a few miles with some views of the ocean. From the parking lot, walk back to where you drove in, and you can either walk right or left, past the brown parking gates onto a paved pedestrian trail. 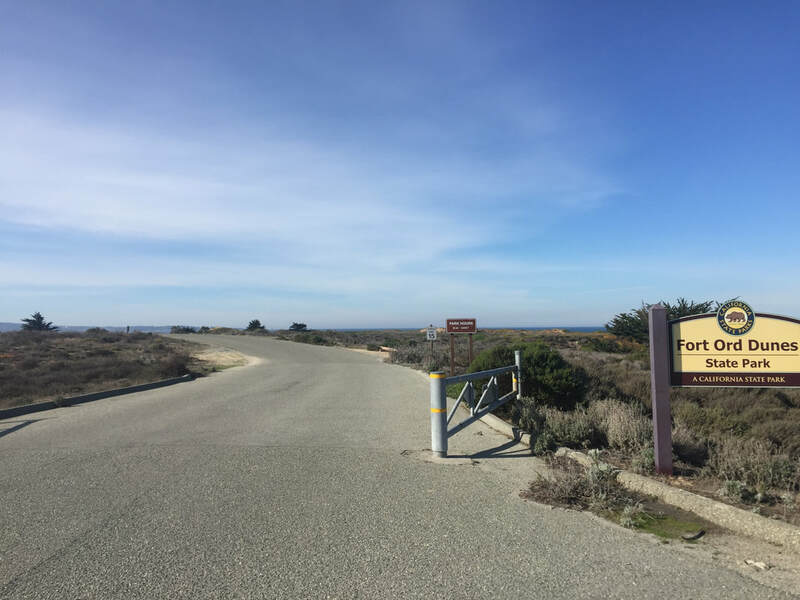 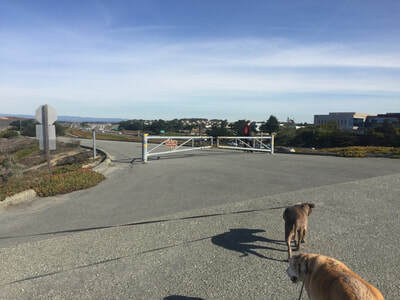 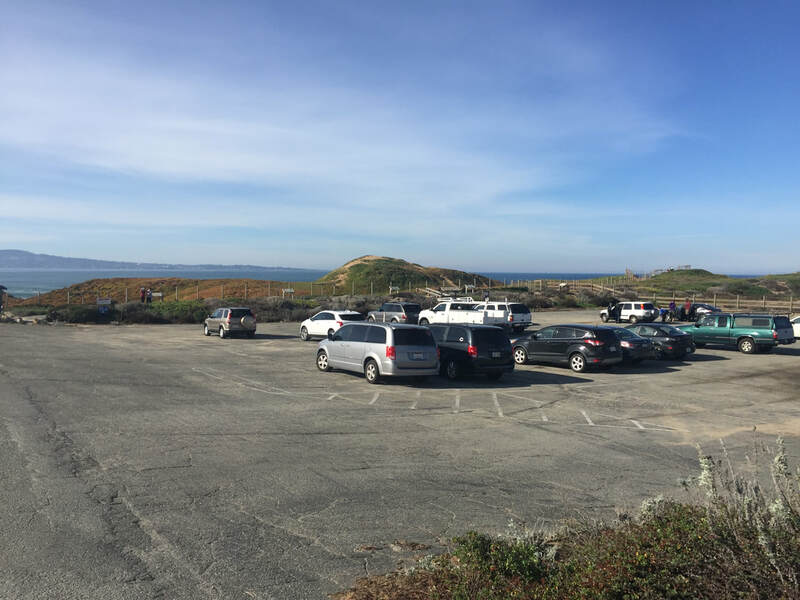 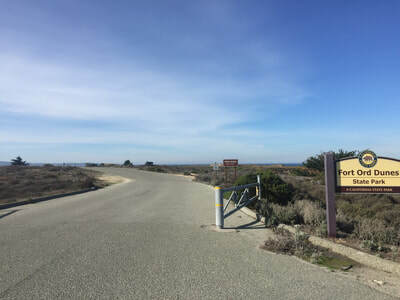 This trail provides views of the ocean (more in the direction of downtown Monterey), but the other direction passes the old army base and has unique trails winding up and down the sand dunes.